There are some things in life that seem like they'll never get done - the never-ending laundry pile when people just keep wearing clothes. A totally clutter free and clean house when children are in existence (Does Marie Kondo even have kids?!). A half decent savings account when your wages barely stretch to the end of the month anyway. World peace when people just keep starting wars - you know, just the small stuff like that! It's the stuff of dreams, the seemingly impossible. The mountains. And yet, I've been thinking a lot about this lately and I've come to the realisation that we just need to start. A house is built brick by brick. A marathon is run step by step. Savings are built penny by penny. Novels are written word by word, sentence by sentence, chapter by chapter. And sometimes it's taking that first step, writing that first word, saving that first chunk that is the hardest to do. 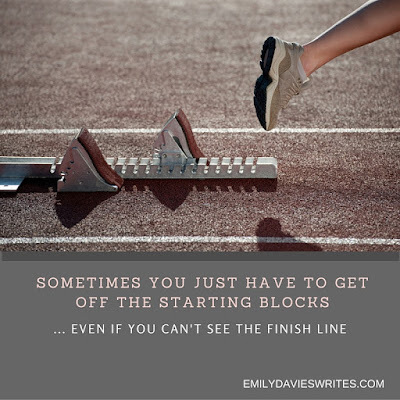 But as with many things in life, once you've made a start, once you've gotten over that initial first hurdle, once you've got out the starting blocks, the rest builds itself. The subsequent steps seem to become easier, the subsequent words seem to flow better. See, life is simply a series of steps. But how often do we put off attempting our first steps because the rest seems impossible, too big or too hard? 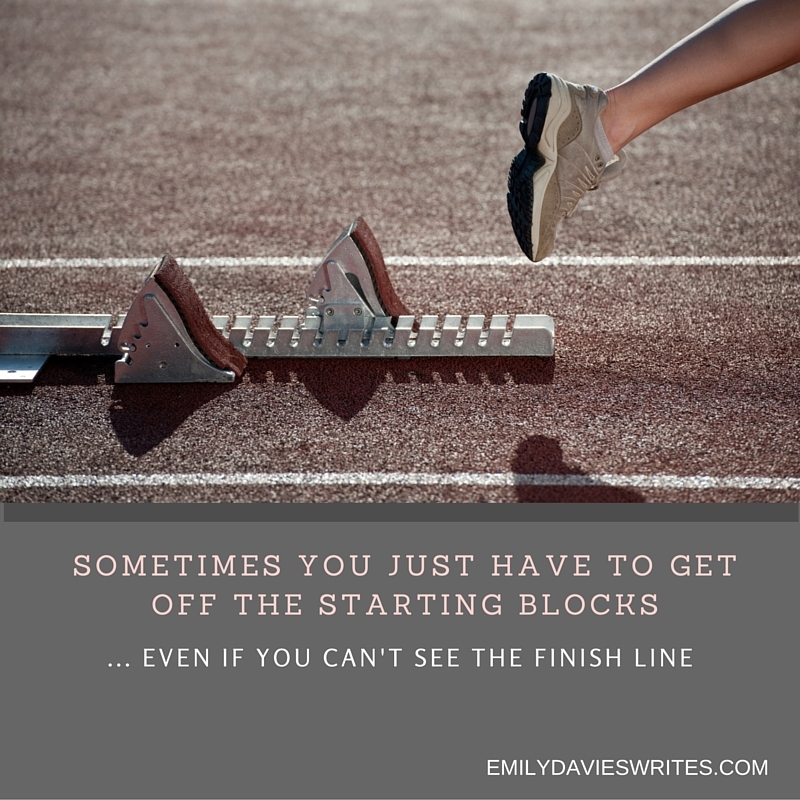 How often do we struggle to get out the starting blocks because we can't see the finish line? Some relatives of mine were brave enough to run the London marathon this year. And I can imagine as they stood at the starting line, 26 miles from the finish, it probably felt like a bit of a daunting task. The finish line was out of sight. And life's like that, we don't know where the finish line is. We can't see the end goal - whatever it is. But we just have to start. We just have to have faith that by putting one foot in front of the other, we will eventually reach the end goal - whether that be owning a house, publishing a novel, or simply getting to the bottom of the laundry basket! Abraham had no idea where the end goal was. He didn't even know what it was! But he knew he just had to start. So I've started to start. I've started to do the laundry, one load at a time. I've started to save money, one pound at a time. I've started to write, one word, one sentence, one blog post at a time. Like Abraham, I don't know what the end goal is. I don't know how far away the finish line is. But I do know that I have dreams. I also know that God has dreams for me, probably beyond my wildest imagination. So, what do I have to do? What's my part in the plan? And starting seems pretty achievable, right?